Create Your Own Miniature Salt Flats! Create your own miniature salt flats at home. Evaporites are rocks that are formed by the minerals left behind when the water they were dissolved in evaporates. This is the process that created the great salt flats in Utah, for example--those are mostly made up of evaporates. How do salt flats form? Slowly stir a half cup of salt, one tablespoon of baking soda, and one tablespoon of dirt into one cup of hot water until the salt dissolves completely. Let it sit for a minute, then stir it again and let it sit for another minute. Pour the mixture into your pie dish and set it somewhere out in the open where it won’t be disturbed. Wait for the water to evaporate completely. This may take only a day or so, or it may take several days, depending on conditions. What you’ve got in the bottom of your pan is like a layer of sedimentary rock that is left after the water that brought the minerals somewhere has evaporated. 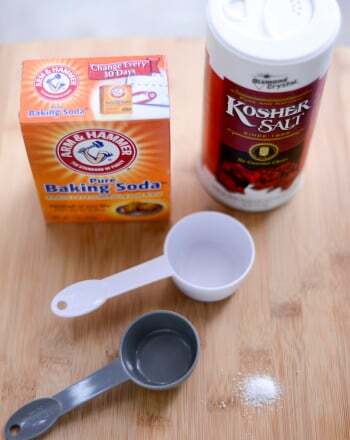 Repeat steps one and two, but this time just use half a cup of salt, no baking soda or soil. Now you should get a layer that looks cleaner and has larger crystals. Repeat steps one through three. Now you should have your own model salt flats that alternate “dirty” and “clean” strata, or layers, showing clearly how the layers are formed. Salt flats are formed in much the same way, with water that has a lot of salt and other minerals in it evaporating and leaving the minerals behind as sediments that form layers over time as the process repeats itself. Dig It! : Over 40 Experiments in Geology, by Lockwood DeWitt and B. K. Hixson, pp. 175-180 (Loose in the Lab Science Series, 2003). 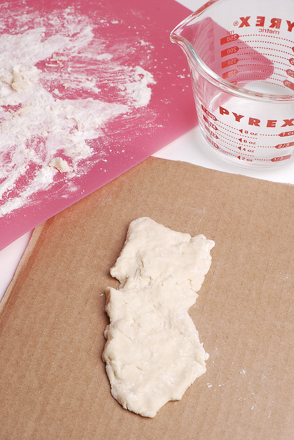 Recreate Your State...Out of Salt Dough! Challenge your fourth grader to try to recreate the geography of her state using just flour, salt, and water. 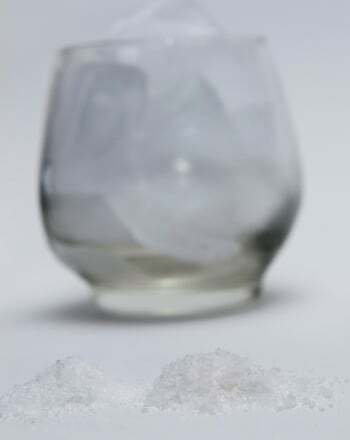 Discover how and which salt melts ice the quickest. Budding scientists will learn about the density of salt water and perform an experiment with food coloring, salt water, and fresh water. Your comic book enthusiast will have a BLAST with this super comic book writing project. Is spilling salt really bad luck? Read about the origins of this food superstition; it may not be as odd as you think! 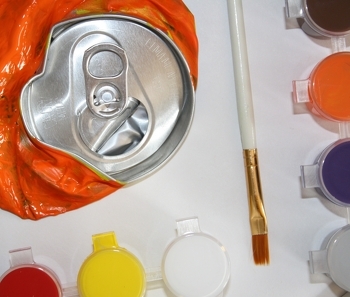 Inspired by Charles Kaufman's crushed can art, this activity lets kids make their own unique works of art using, you guessed it, crushed cans and paint! Using data that your students will generate in their class, they will create a picture graph that reflects how much time they spend doing different activities each week. This worksheet will teach your kid that the capital of Utah is Salt Lake City. In this unique 5th grade arts and crafts project, your budding artist can imitate ancient rock art by creating his own petroglyphs on sandpaper with crayons. Students will collect data, create a double bar graph, and interpret the graph by responding to prompts that will get them thinking critically. Celebrate the work of our forefathers by writing your own Declaration, in honor of the Declaration of Independence!